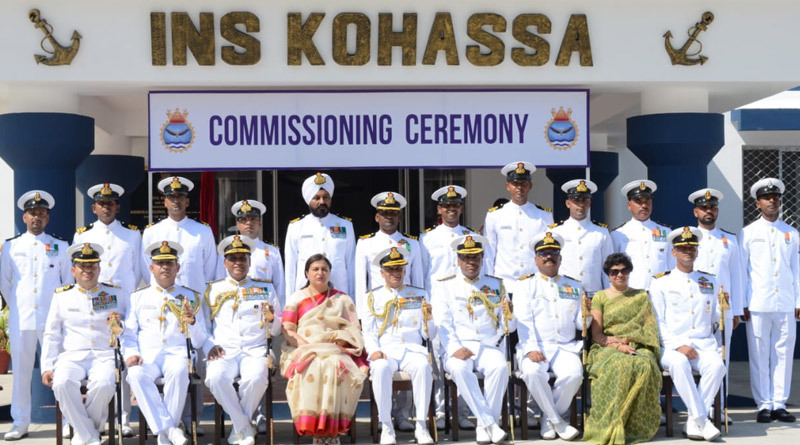 In a significant development, Naval Air Station (NAS) Shibpur was commissioned as INS Kohassa by Chief of the Naval Staff, Admiral Sunil Lanba, on 24 January 2019. 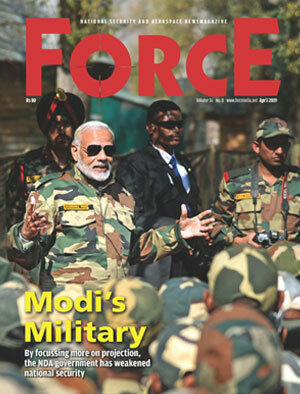 With the addition of this new base, India has now got its fourth air base and the third naval air facility in the region, which is in the vicinity of the key sea lanes of communication. The grand ceremony was attended by many dignitaries and senior officials including VAdm. Bimal Verma, AVSM, ADC Commander-in-Chief, Andaman and Nicobar Command. The ceremony included presentation of Ceremonial Guard, hoisting of the Commissioning Pennant and reading of the Ship’s Warrant by the Commanding Officer, Commander Kuldeep Tripathi. INS Kohassa has been named after a white-bellied Sea Eagle, which is a large bird of prey, endemic to Andaman and Nicobar Islands. The Air Station presently operates Short Range Maritime Reconnaissance (SRMR) aircraft and helicopters. These aircraft undertake EEZ Surveillance, Anti-Poaching Missions, Search and Rescue (SAR) and Humanitarian Aid and Disaster Relief (HADR) missions within the ANC Area of Responsibility. As a point of interest, during the search operations of the Malaysian Airlines Flight 370, Dornier DO 228s of the Navy and Coast Guard operated from this very base.